The Law and Justice (PiS) party is determined not to step down from its path to destruction of the constitutional order and paralysis of the Constitutional Court and the entire judiciary. Parliament operates under the dictate of a marginal majority, with disregard for the interests of minorities. Draconian legislative proposals are put forward, such as an absolute ban on termination of pregnancy. Government escalates social conflicts and divisions. The country’s rulers have chosen confrontation with the Euro-Atlantic Community. The present dispute over the Constitutional Court risks limiting Poland’s rights as an European Union member state. Anti-European and xenophobic statements and actions of the ruling party undermine EU cohesion, to the benefit of the interests of an imperialistic Russia. From a once the trustworthy, valued partner in the EU and NATO, our country is becoming a “special case”. The foundations of our security and economic development are under strain. 1. We appeal to all Poles to follow the constitutional order in their everyday work and activities. PiS’ attempt to create its own legal order is an usurpation of power. We call on those politicians of the ruling coalition who hold dear the rule of law and democracy to refuse participating in their destruction. We caution that those who violate the Constitution will be held responsible. 2. We express our appreciation and respect for the responsible and dignified stance of the judges of the Constitutional Court and other courts, the representatives of legal professions and the law departments of universities. Judges, public prosecutors and all representatives of legal professions need to be afforded special protection from the consequences of the authorities’ illicit actions. 3. Parliamentary opposition cannot cede to the pressure of those in power. Fundamental matters cannot be negotiable, in particular the Government’s obligation to publish decisions of the Constitutional Court, the swearing-in of the three Constitutional Court judges elected by Parliament in its previous term, and any amendment to the Constitution aimed at changing the present membership of the Constitutional Court. We appeal to all opposition politicians to cooperate in the defence of the rule of law and civil liberties. 4. We express our appreciation to the Committee for the Defence of Democracy (KOD) which has become the centre of coordination for the movement of civil resistance. The mass attendance of Poles in demonstrations organized by KOD shows the social need for its actions. In order to successfully fulfil its mission, KOD should remain a grassroots organization that does not engage in partisan rivalry. 5. We express our appreciation to the Euro-Atlantic Community and the European Union for their engagement in the protection of the rule of law and democracy in our country. Any discussions, resolutions, and recommendations taken in their midst do not constitute “interference in Poland’s internal matters”, but are the expression of a legitimate concern about the condition of our country and the rights of its citizens. We ask for perseverance in the common concern for the values that unite us. 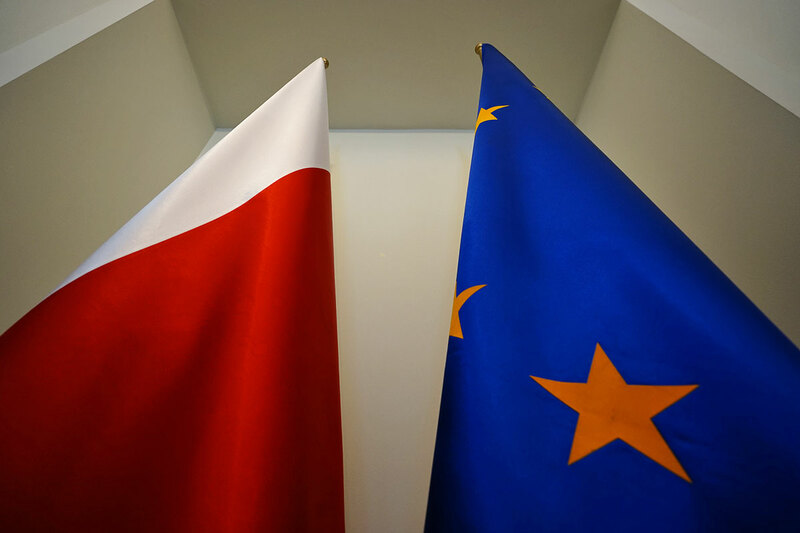 The signatories of this appeal differ in their views on many Polish problems, but we are united by a common belief that the necessary precondition to any rational changes is the maintaining of democracy in Poland.